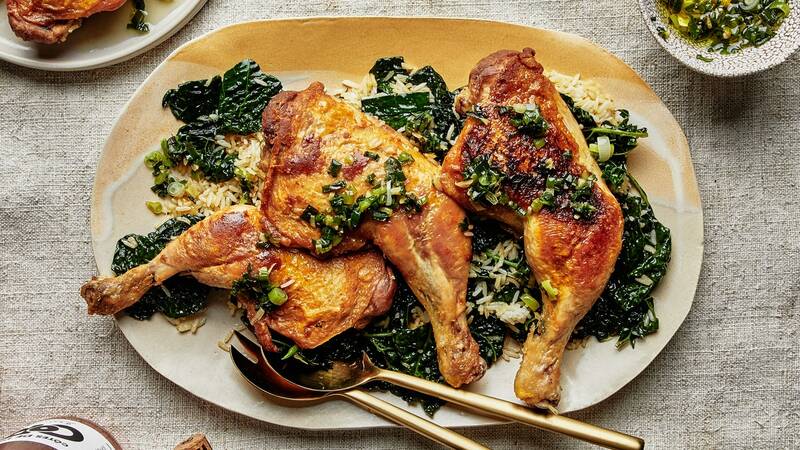 The scallion-ginger oil served alongside the chicken and rice puts this recipe over the top. If you aren’t feeling the rice, use another cooked grain (it can even be fridge-cold and left over) and just heat until warm and beginning to crisp. This recipe can also work with any large cut of skin-on, bone-in chicken, including spatchcocked and halves.